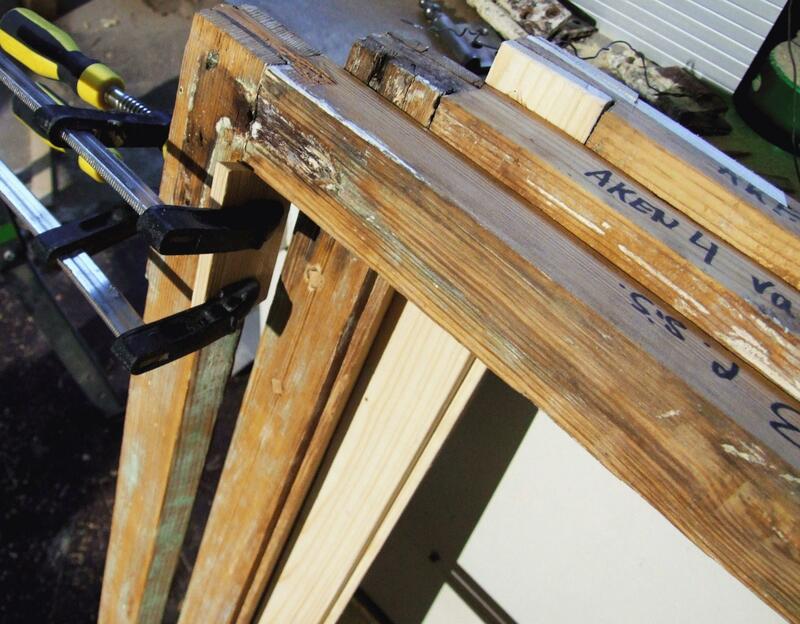 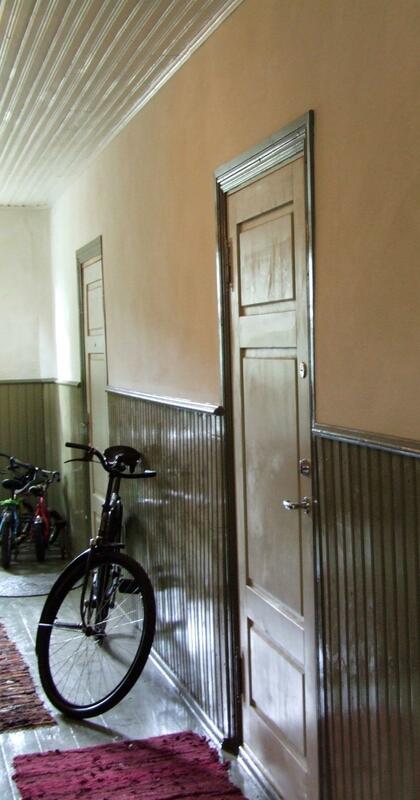 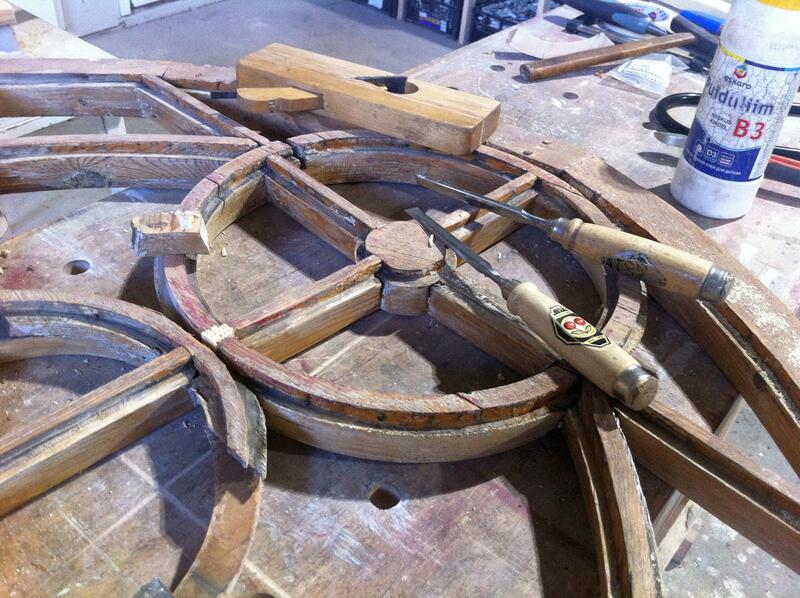 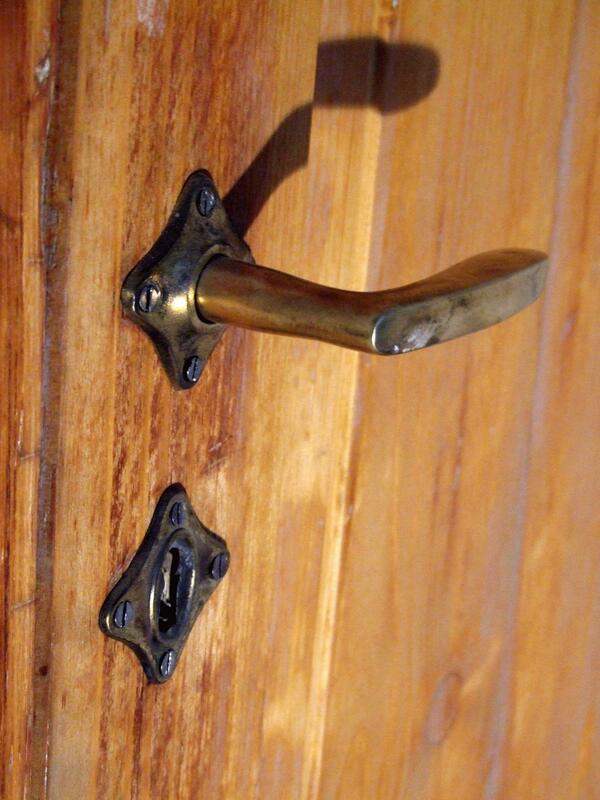 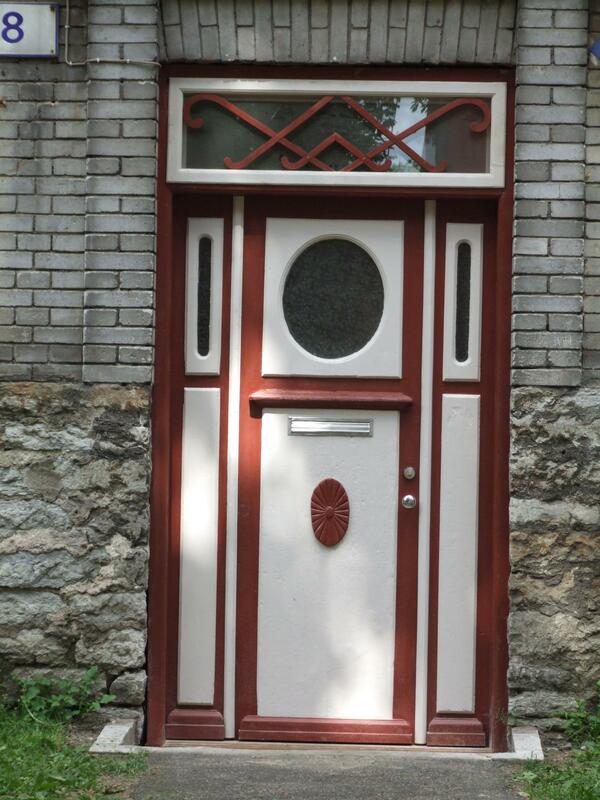 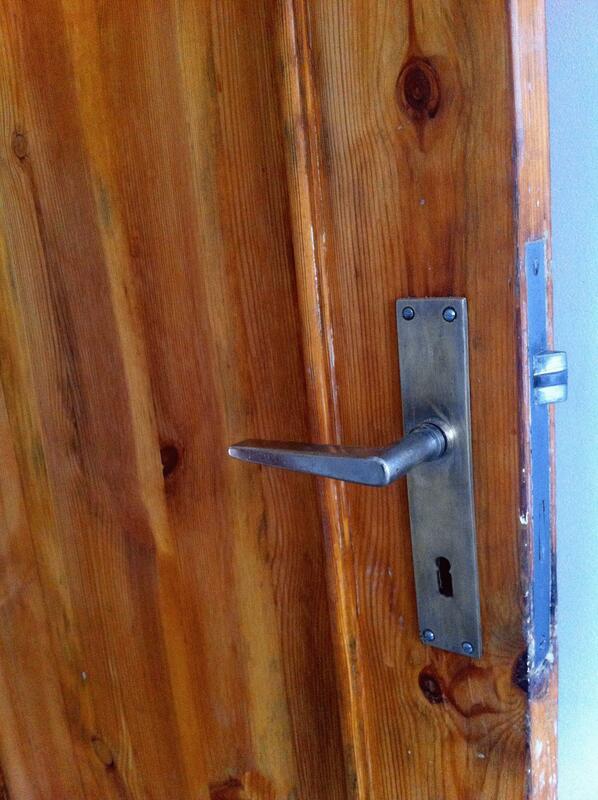 We restore old doors, both front doors and internal doors, using traditional working methods and materials. 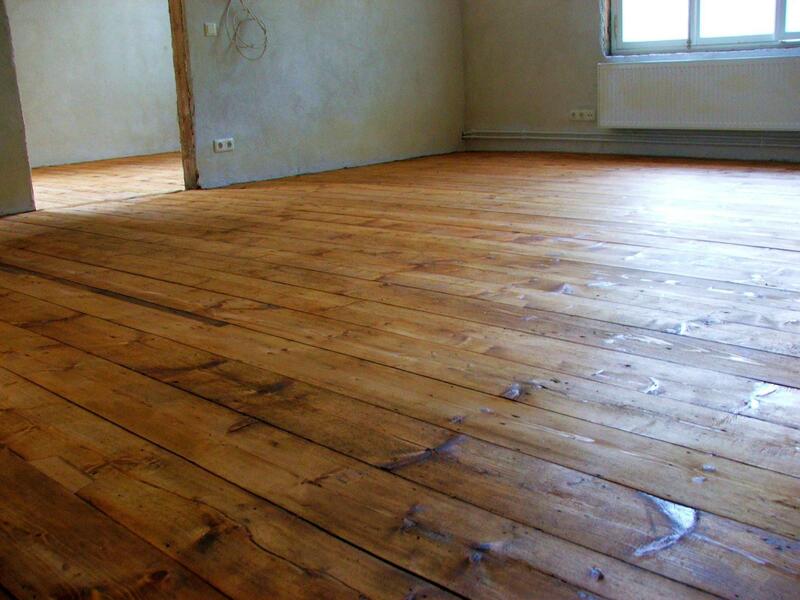 We remove mechanically the old paint until the wood is clean and we make the necessary wood replacement using old high-quality wood. 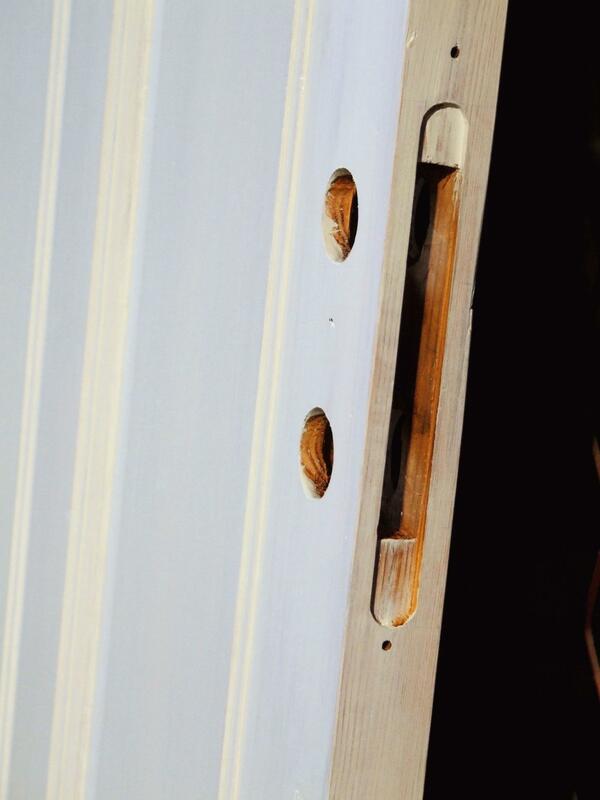 We restore the old hinges, locks, handles, hooks and other metal details, we use copies of original door furniture if necessary. 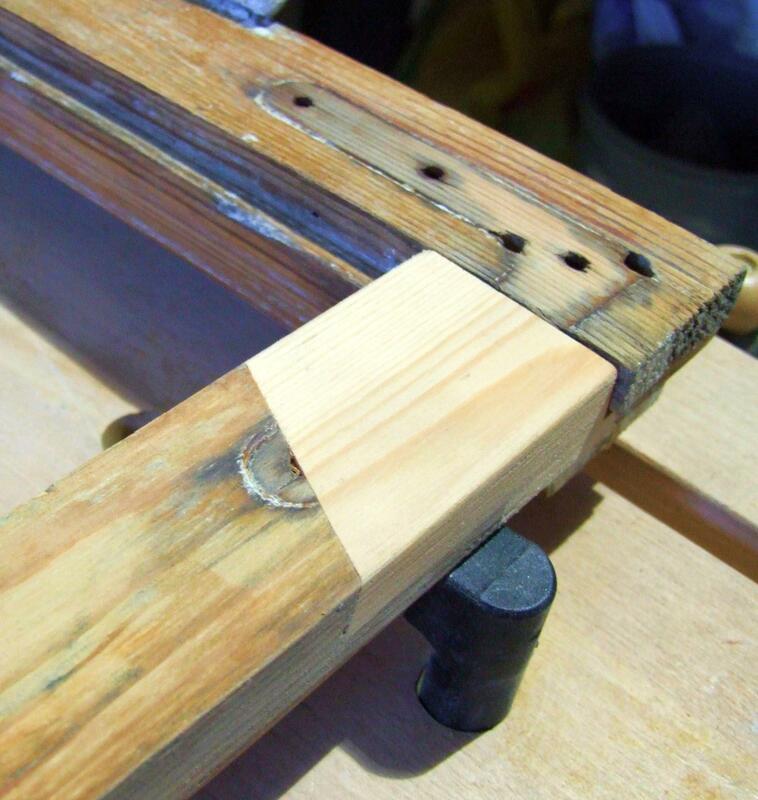 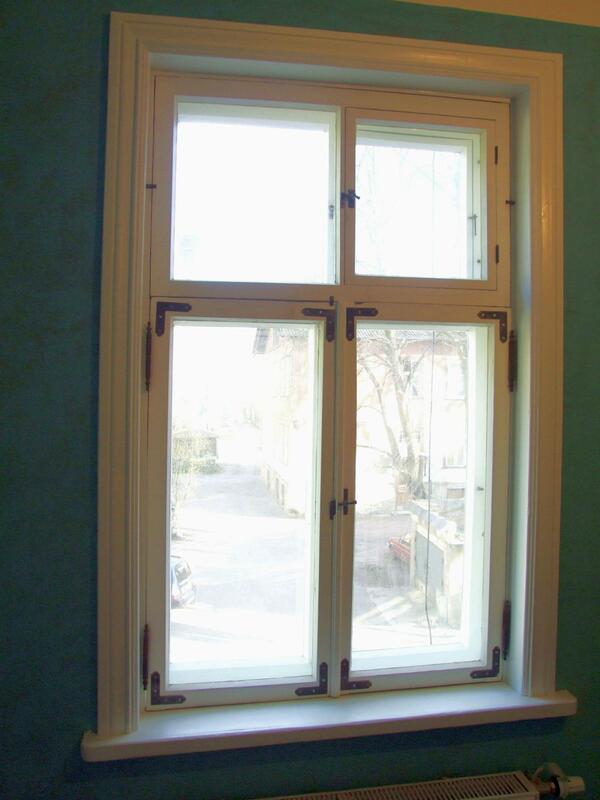 We replace an old doorsill with high-quality wood (oak, ash). 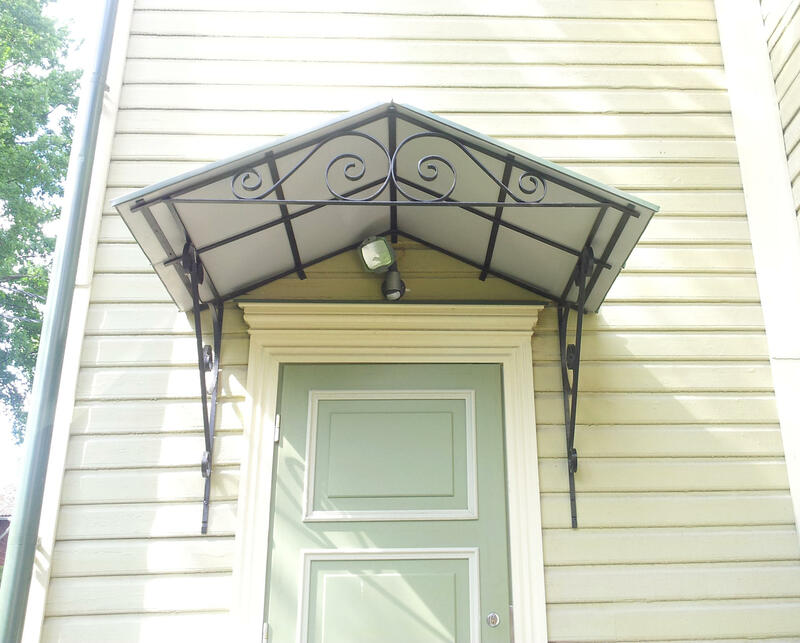 We also restore old forged awnings and make new ones. 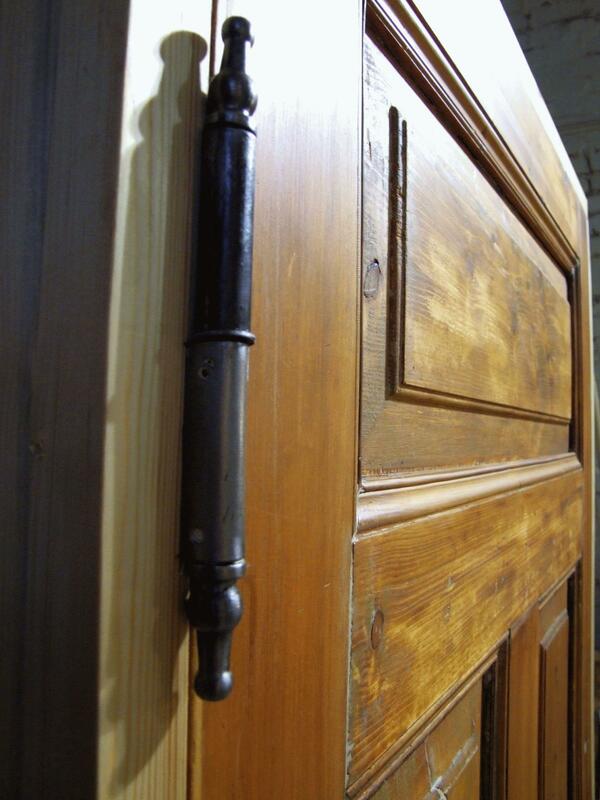 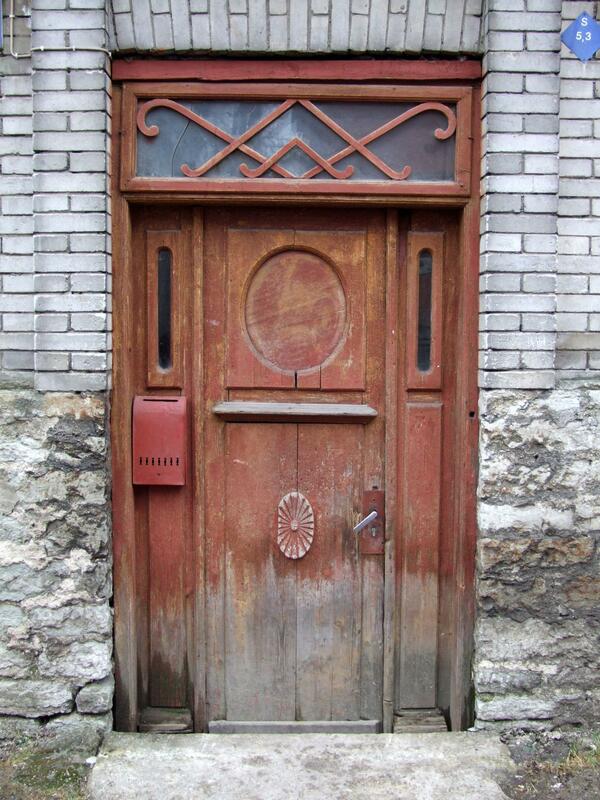 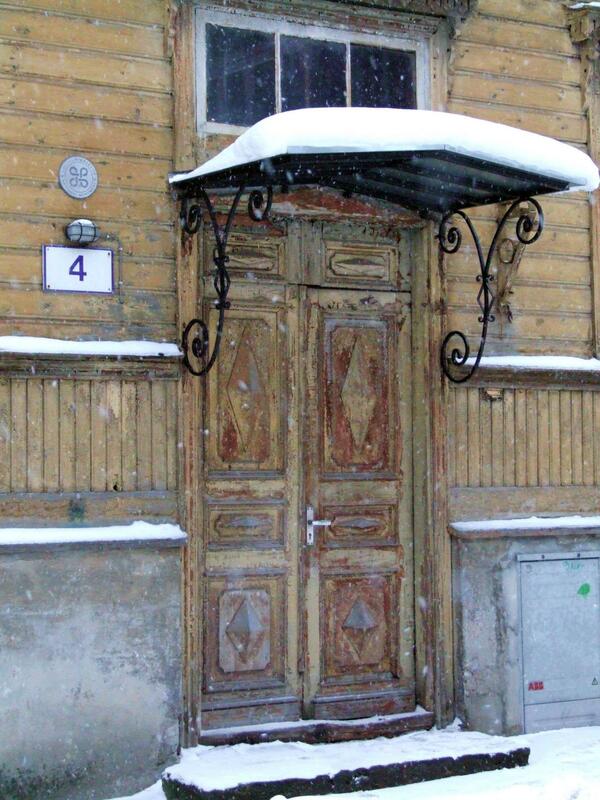 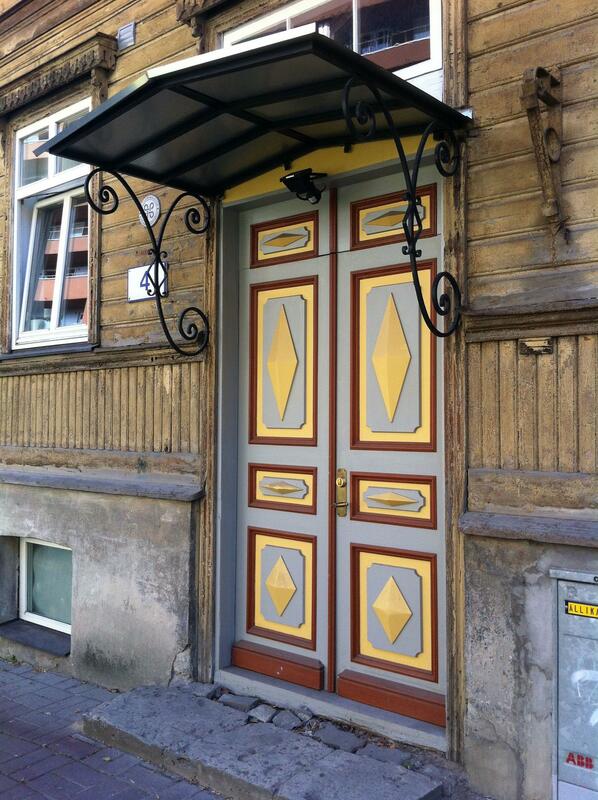 We sell many old doors which you can find from our Salvage materials page! 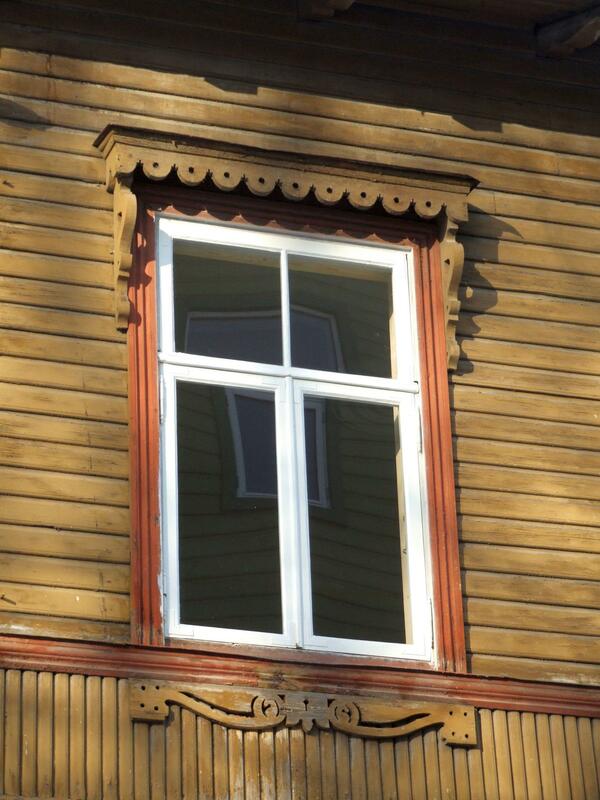 When restoring windows we remove mechanically the old paint until the wood is clean and we make the necessary wood replacement using old high-quality wood. 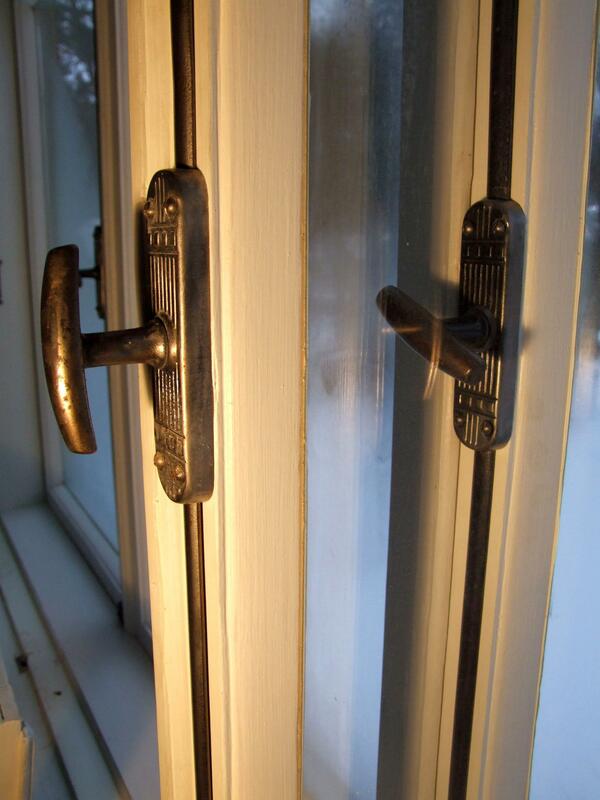 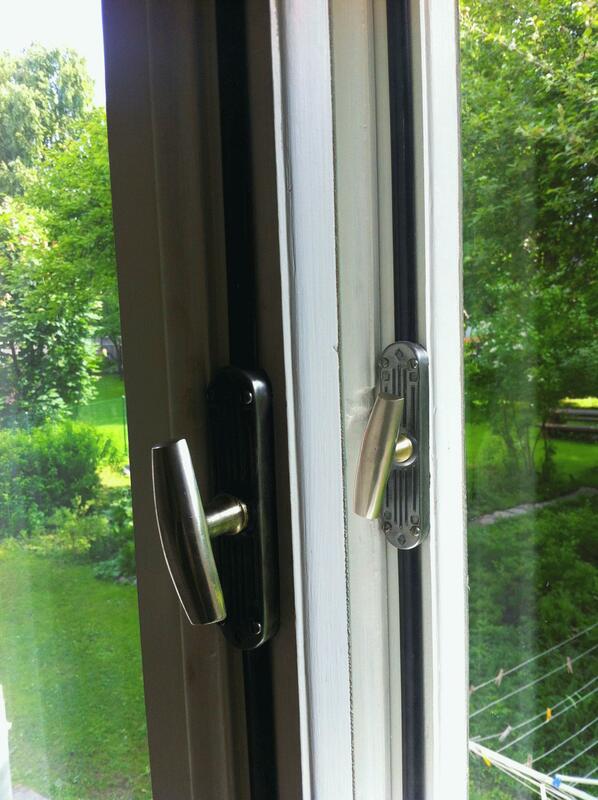 We restore the old hinges, cremones and hooks, we use copies of original window furniture if necessary. 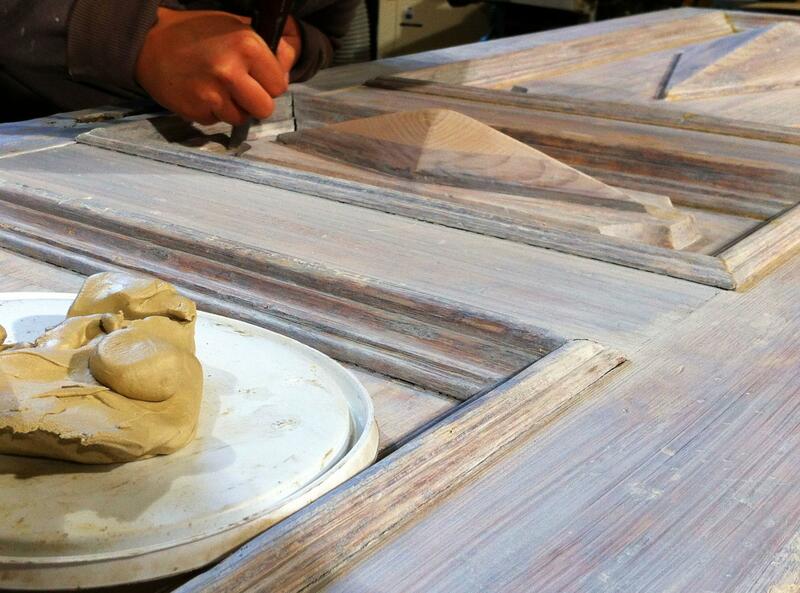 We use linseed oil putty for glassing and traditional linseed oil paint for finishing. 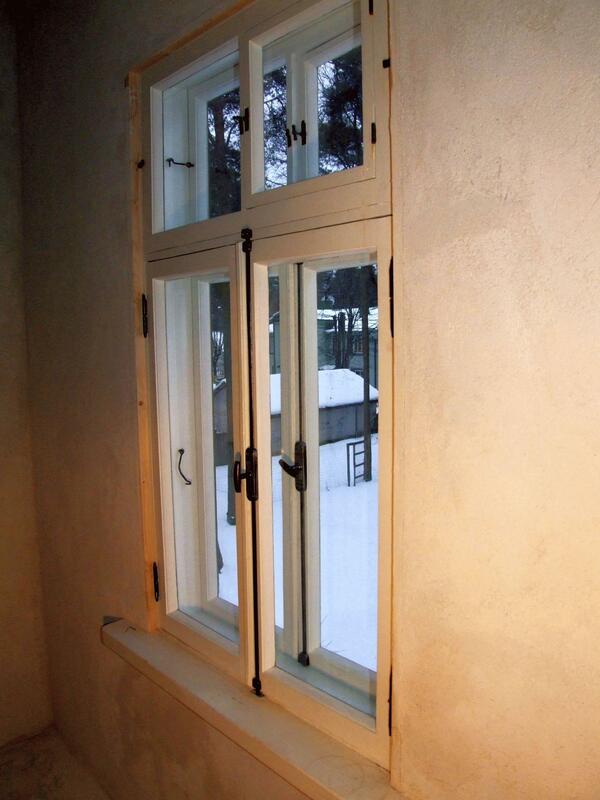 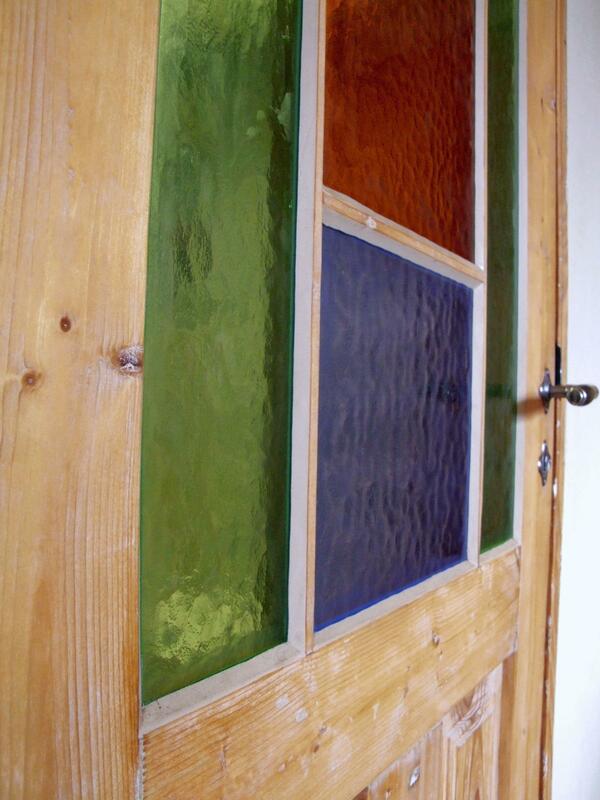 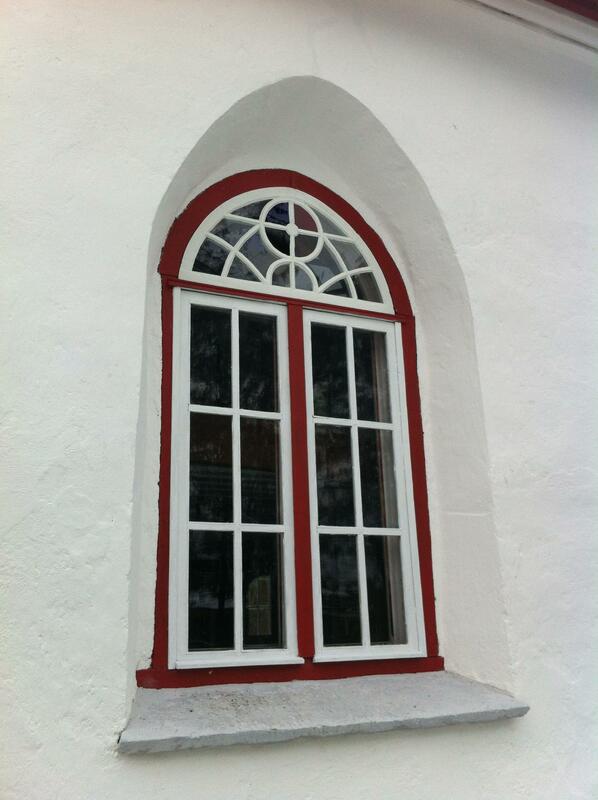 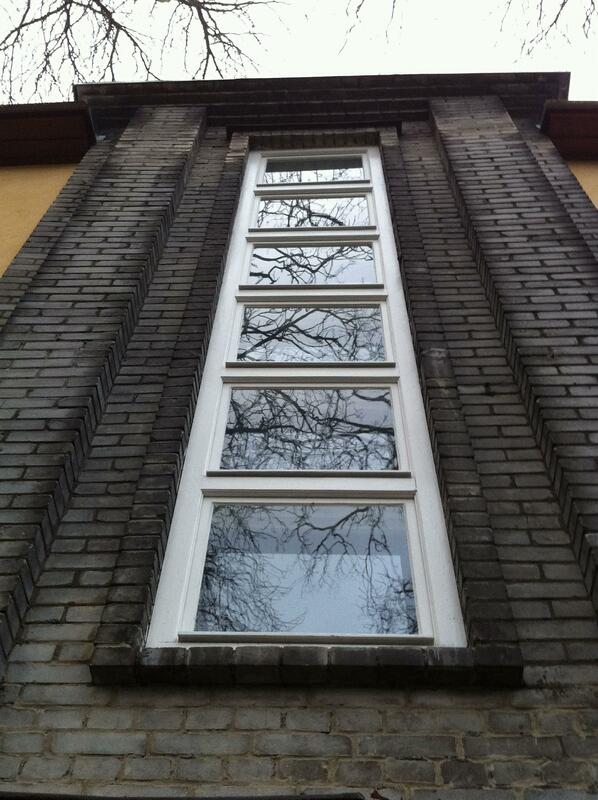 We sell some old windows which you can find from our Salvage materials page! 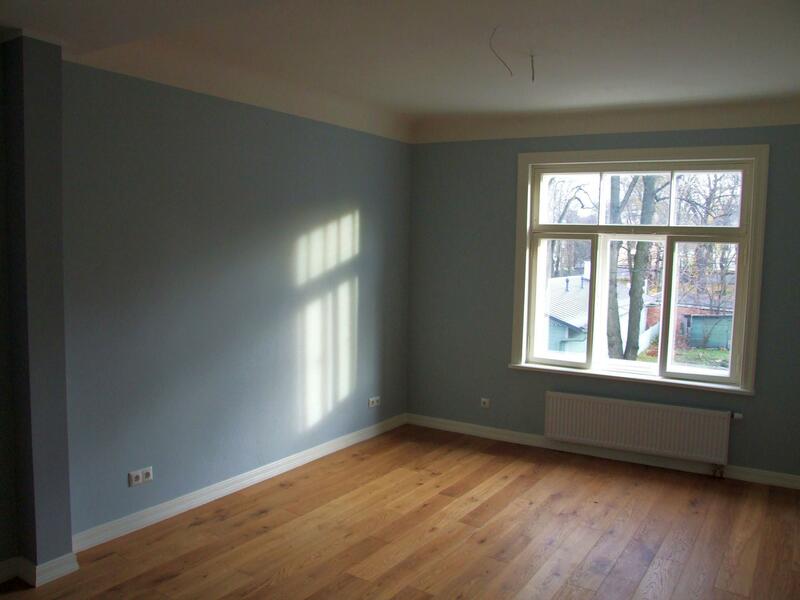 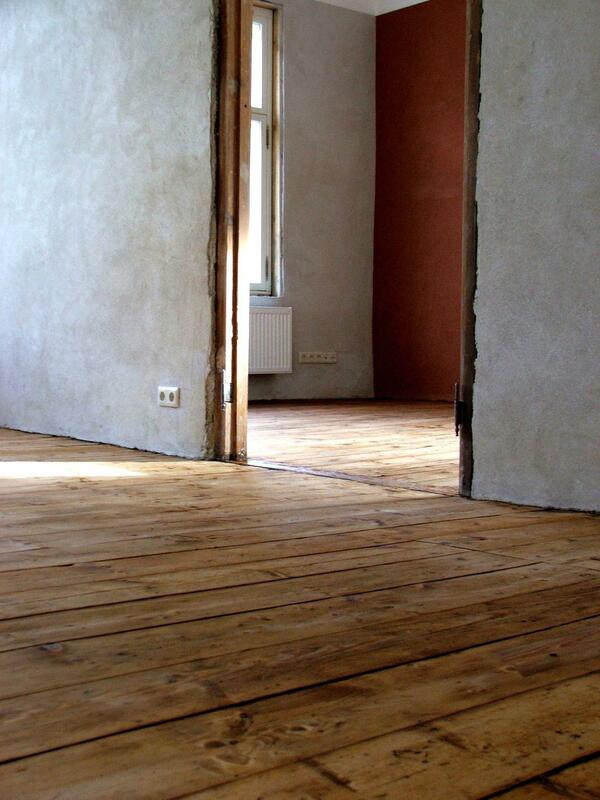 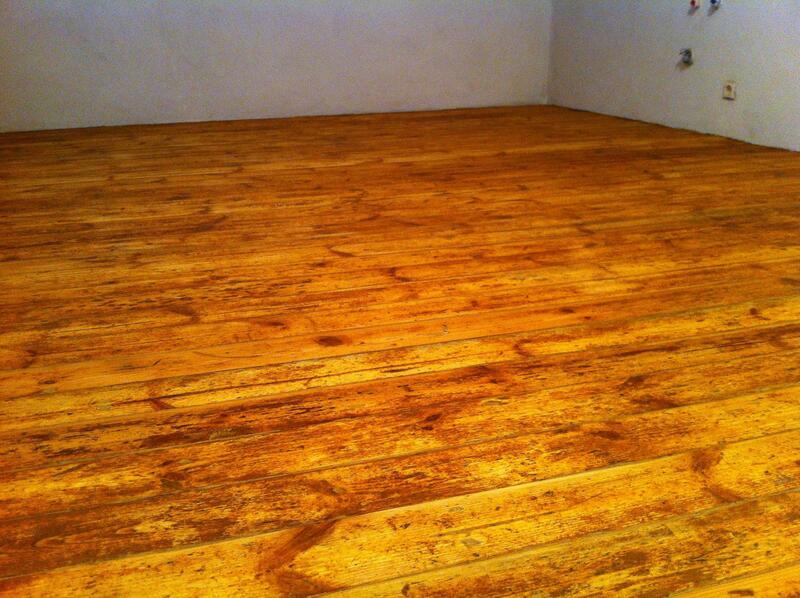 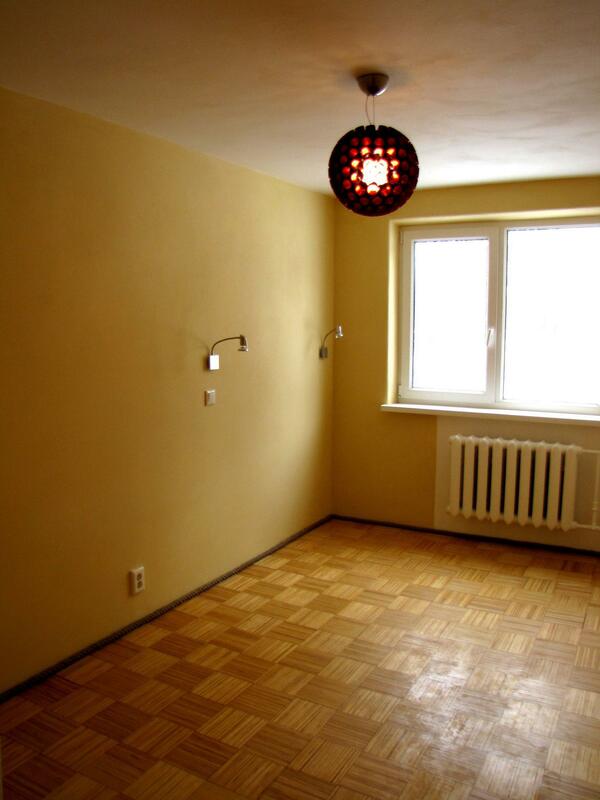 We restore old wooden floors using traditional working methods and materials. 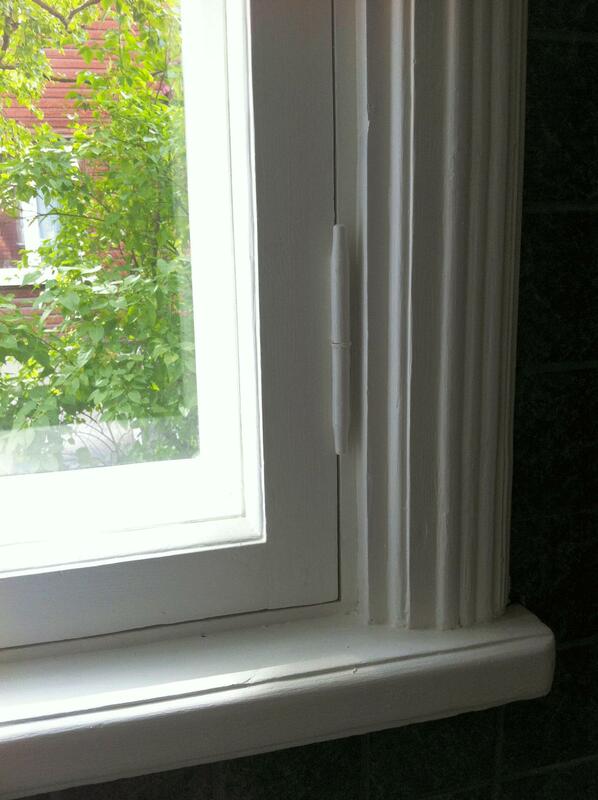 We remove old paint and we make the necessary wood replacement. 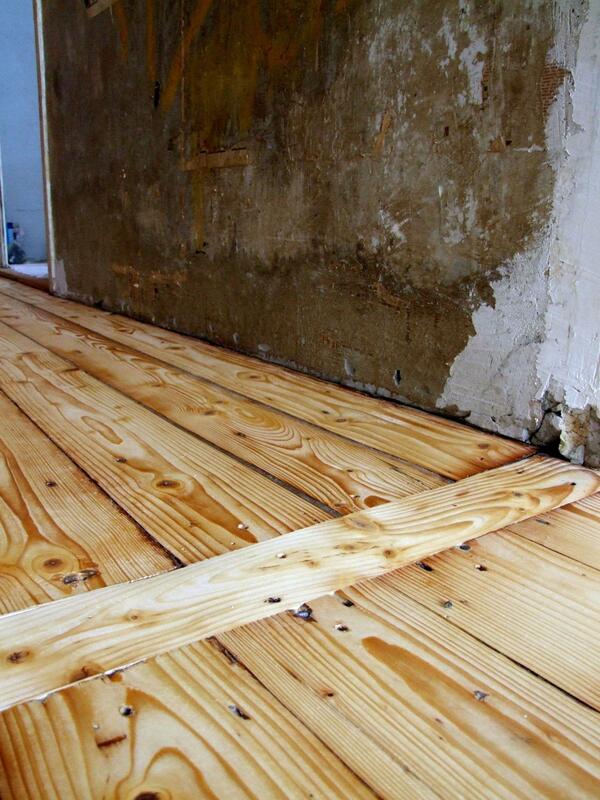 We replace the missing floorboards with similar ones. 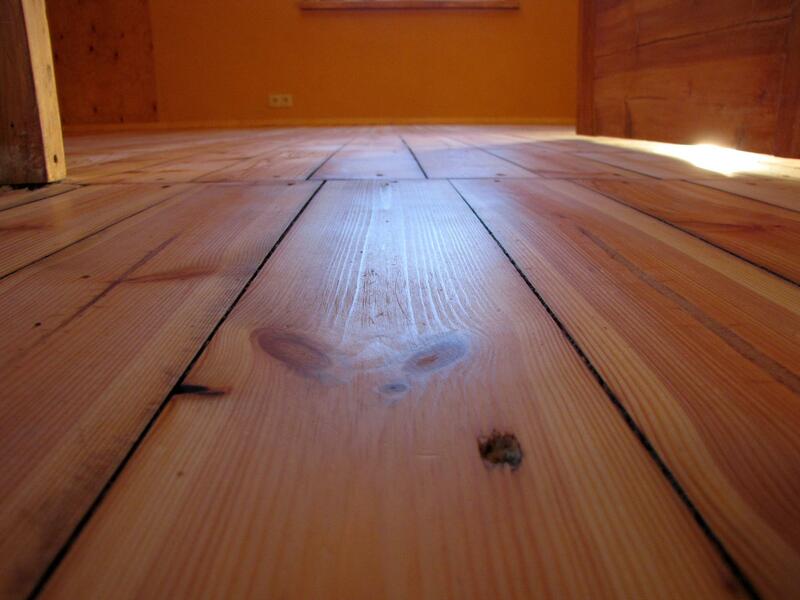 We do light sanding and heavy sanding and we finish the surfaces with natural oil or oil wax. 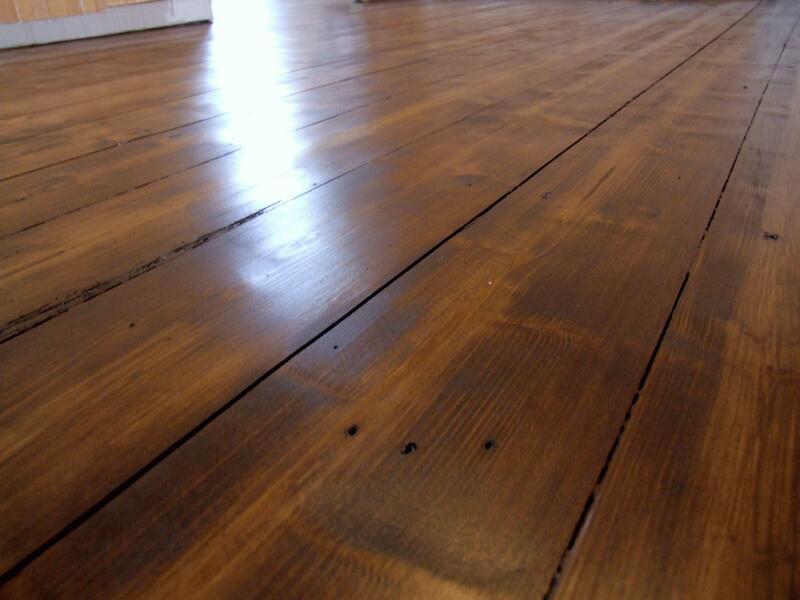 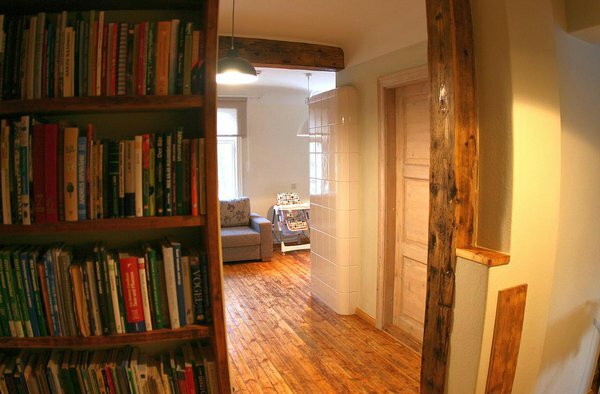 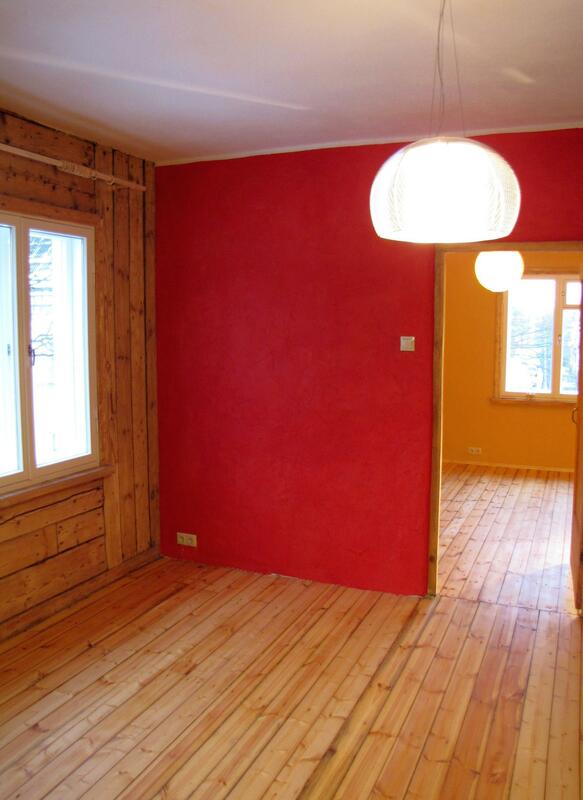 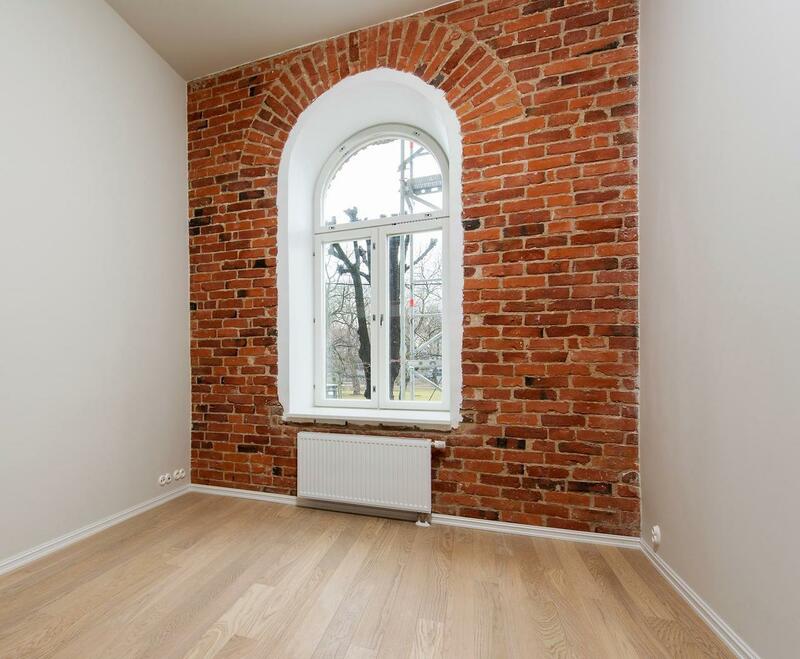 Old wooden floor is worth of restoring! 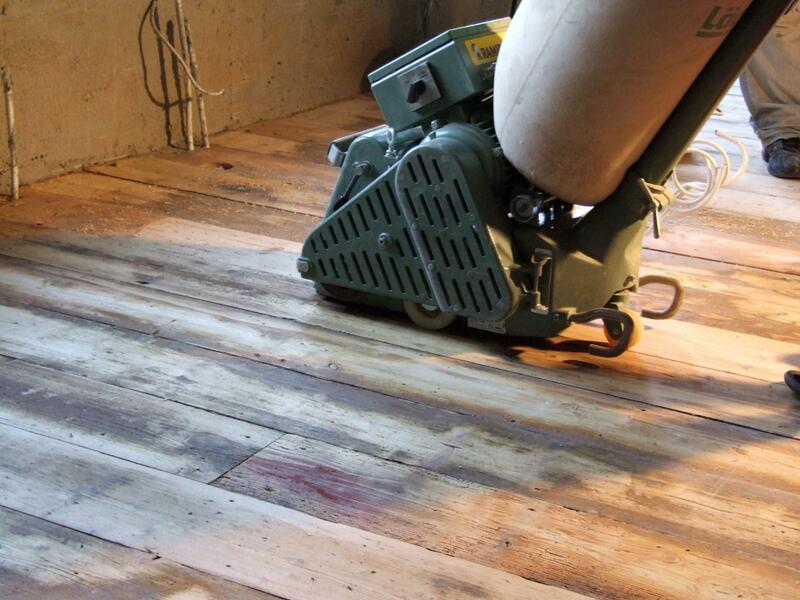 We have stored different old floor boards for selling, you can see them on our Salvage materials page! 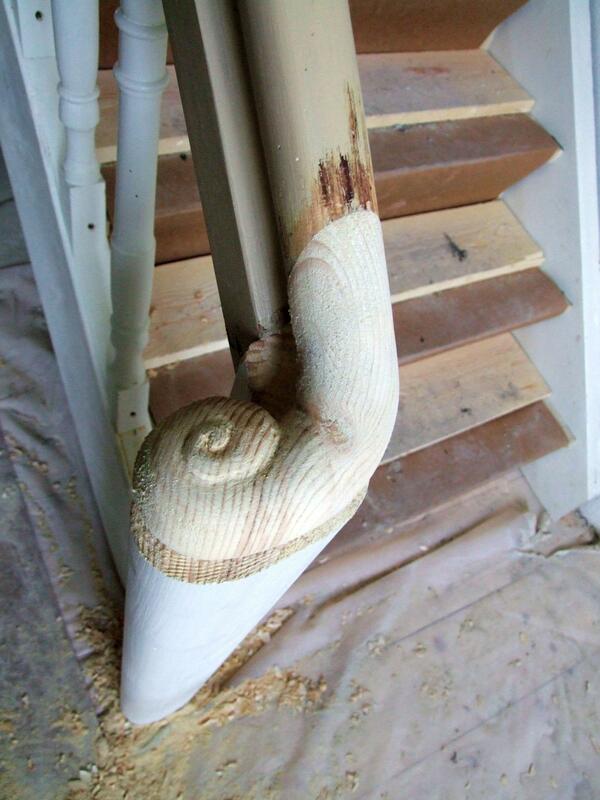 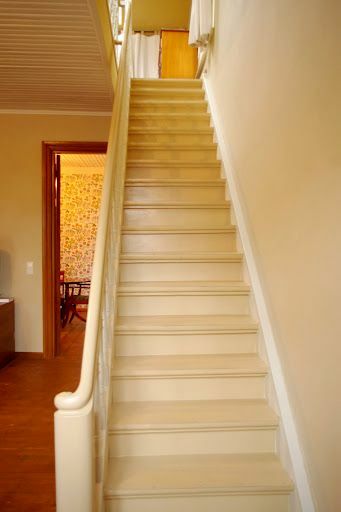 Restoring old wooden stairs is similar to restoring wooden floors. 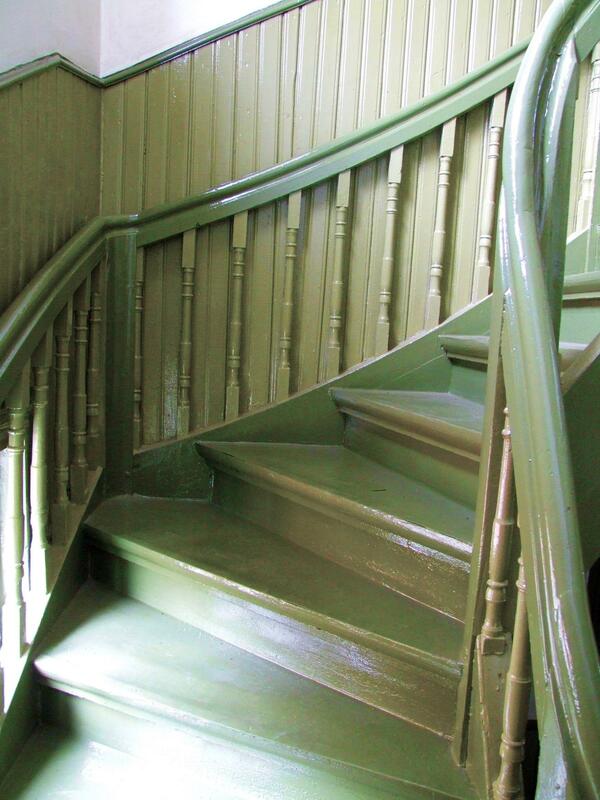 We have restored several stairs from Lender house staircases and we have installed the stairs from demolished houses to new or renovated apartments. 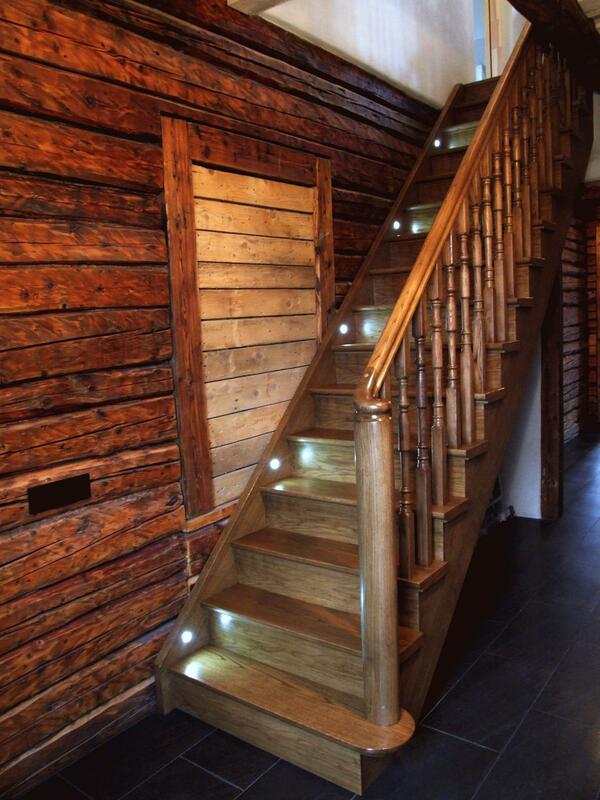 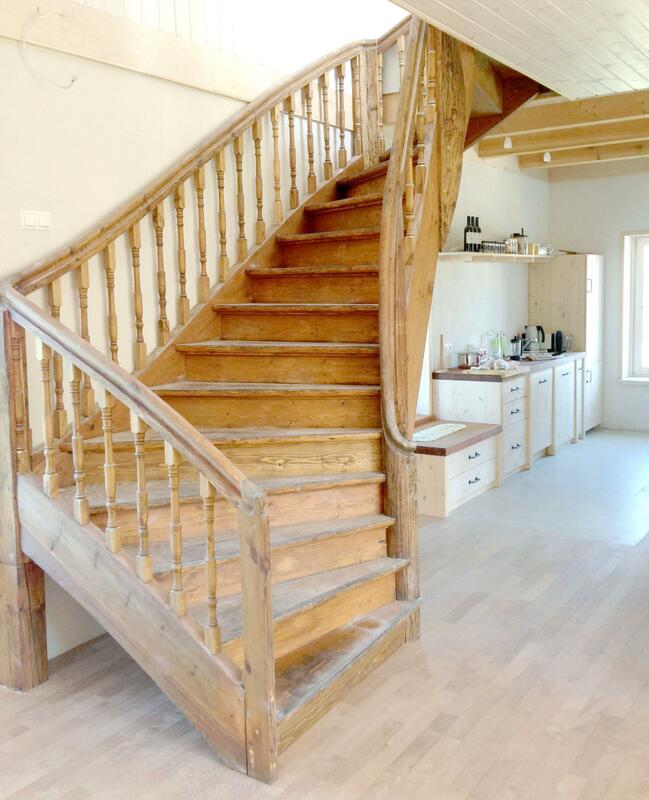 A decades old wooden stair that has been restored properly creates a nice milieu in interior. 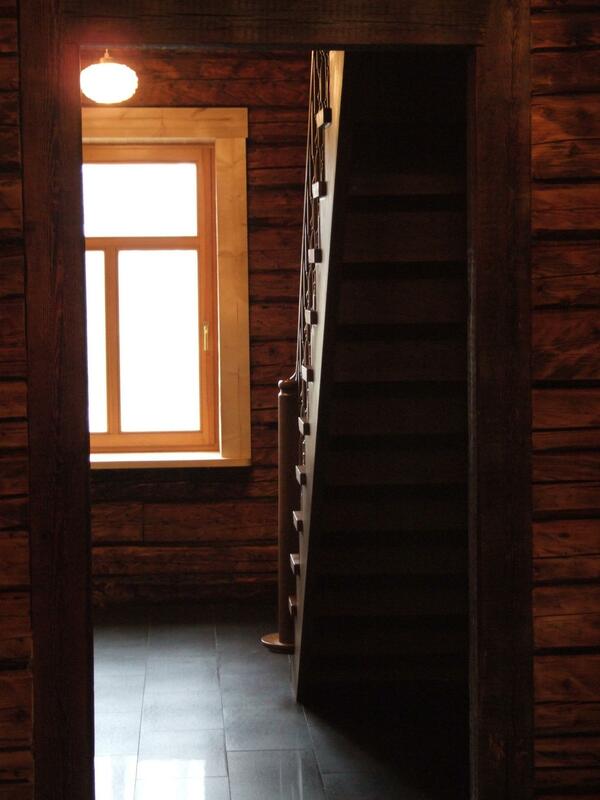 We also make copies of old stairs made of precious wood (oak, ash). 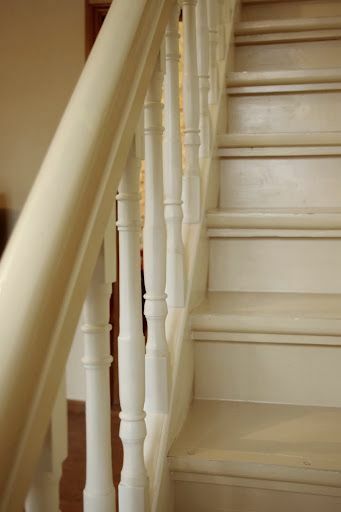 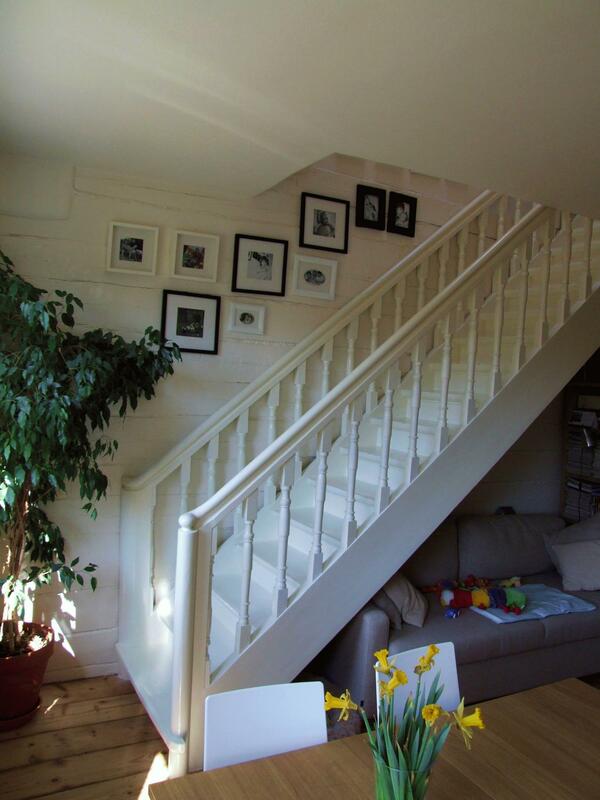 You can see the stairs that we sell from our Salvage materials page! 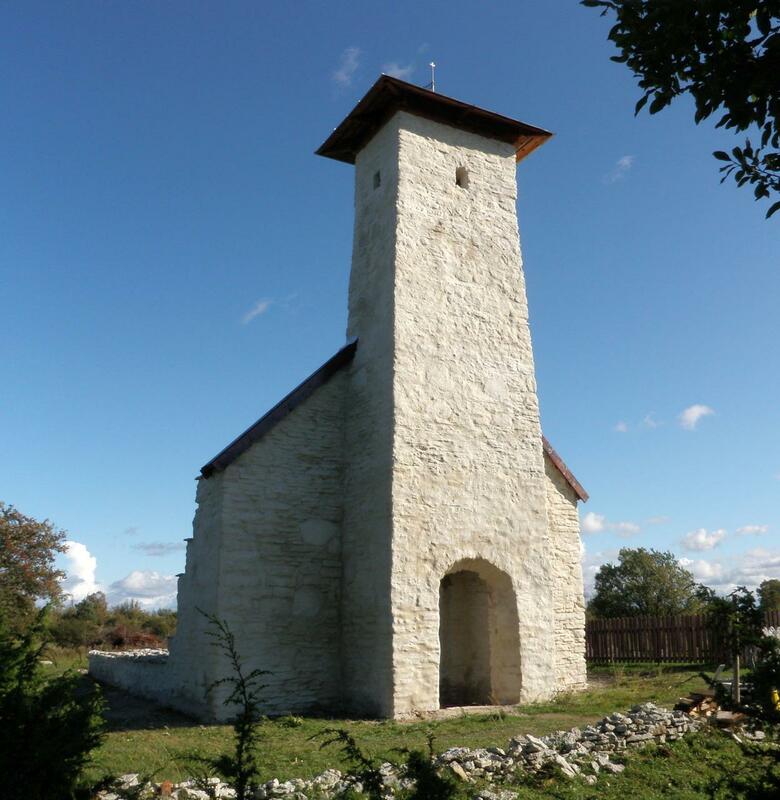 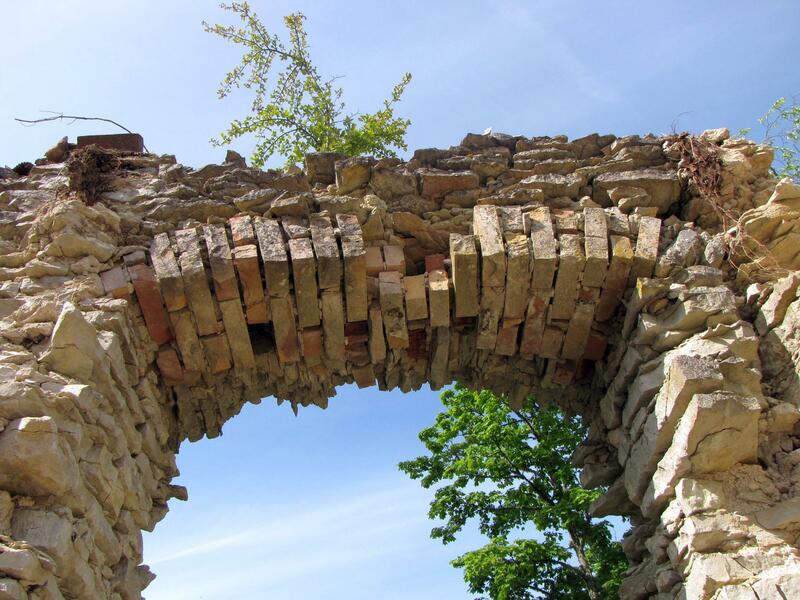 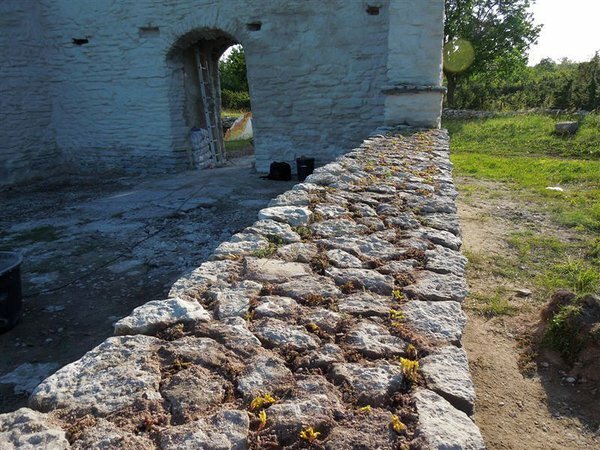 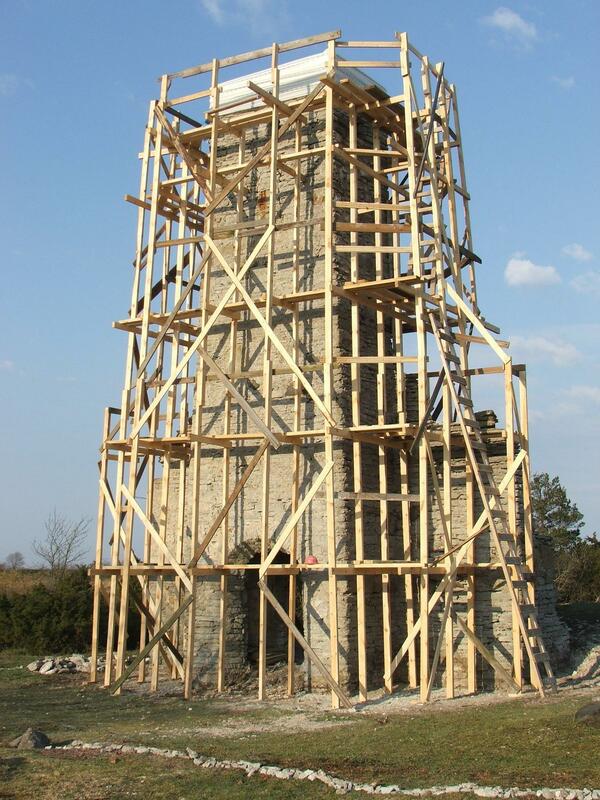 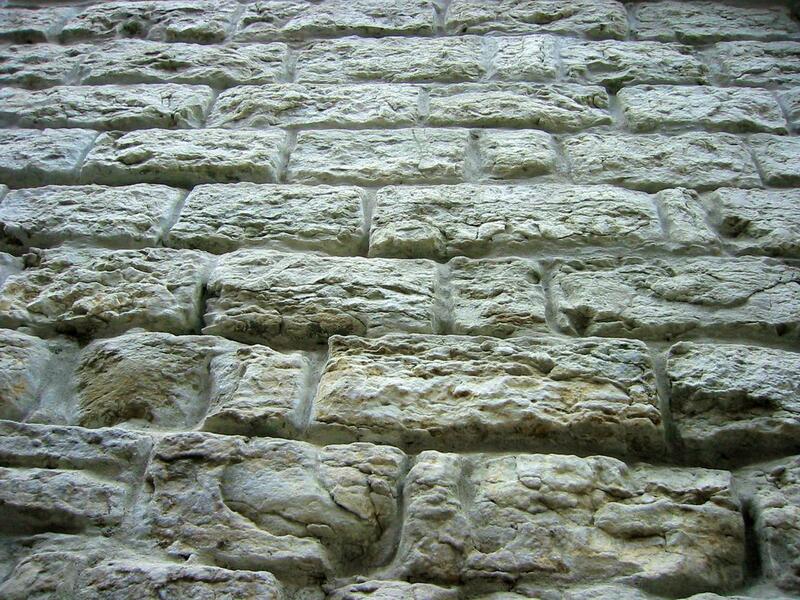 We restore old limestone, brick or fieldstone wall by giving it its historical appearance. 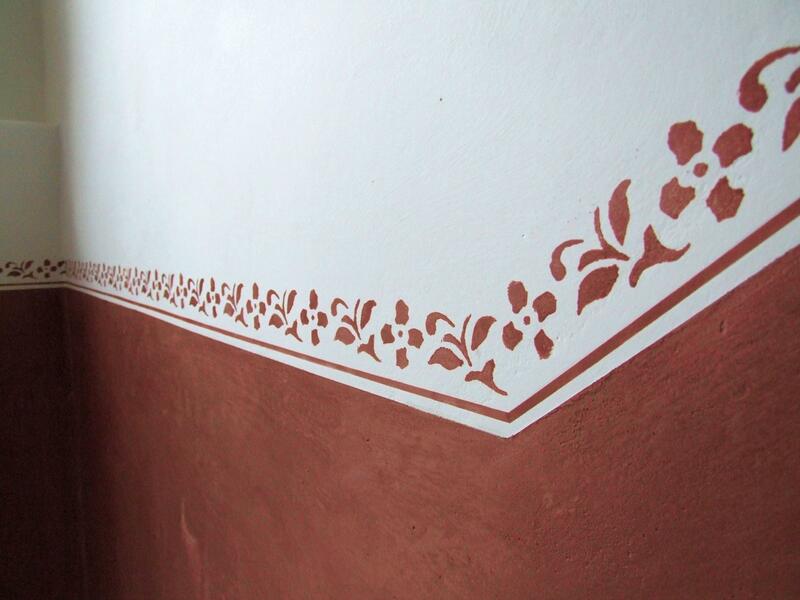 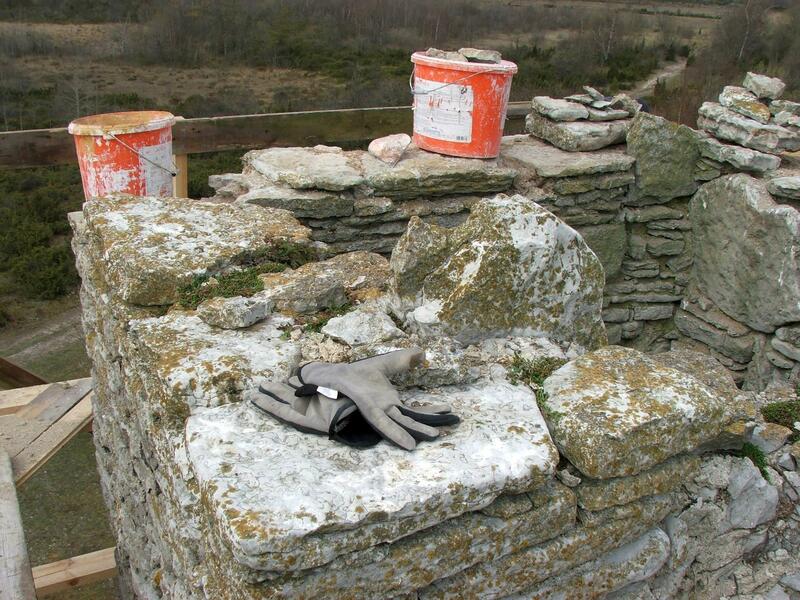 We conserve the walls by stopping its decay, fixing it and protecting it from the weather. 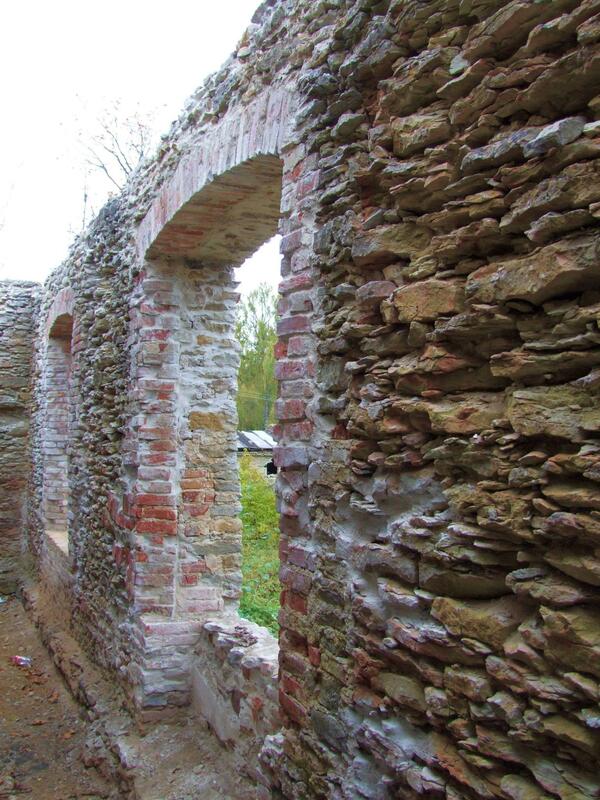 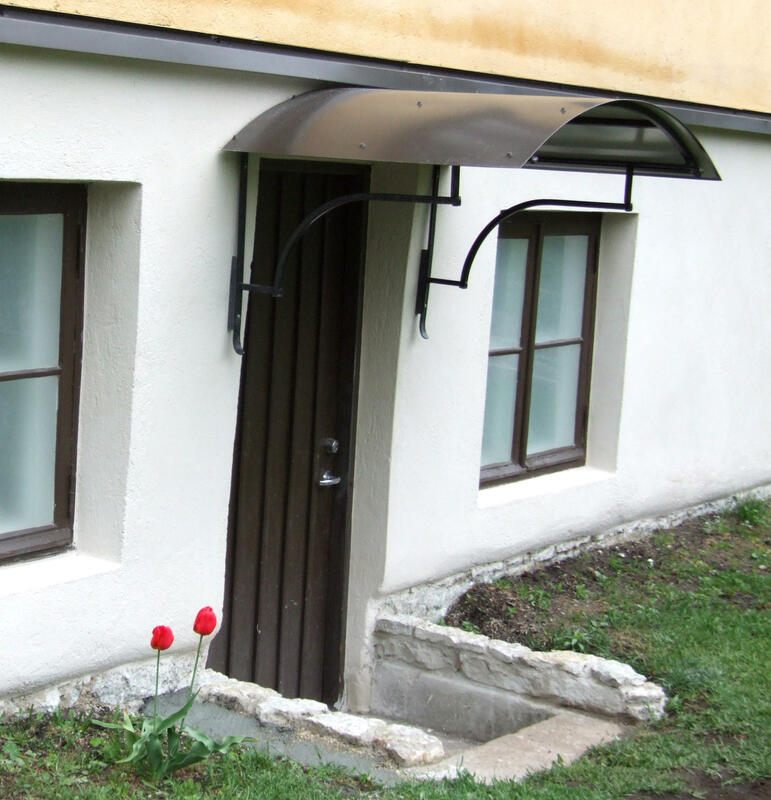 We have the skills of fixing, laying and jointing the walls, also restoring arch lintels. 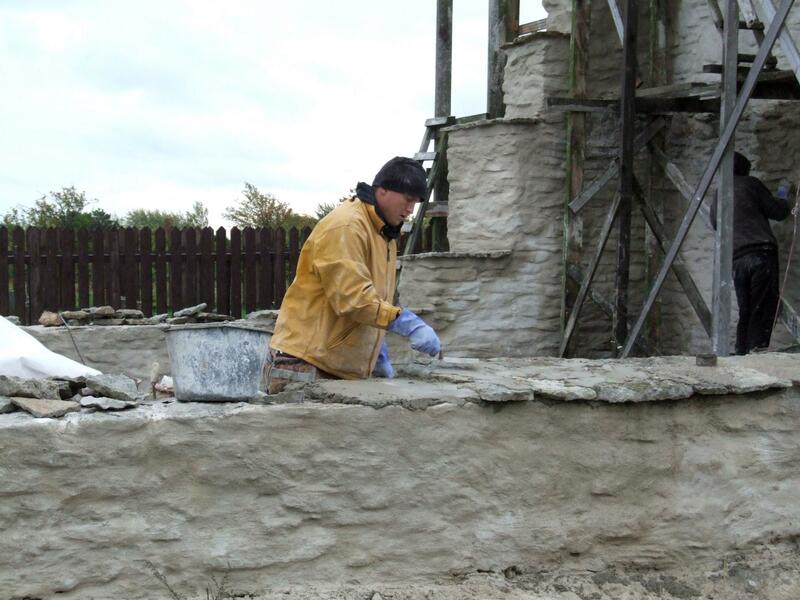 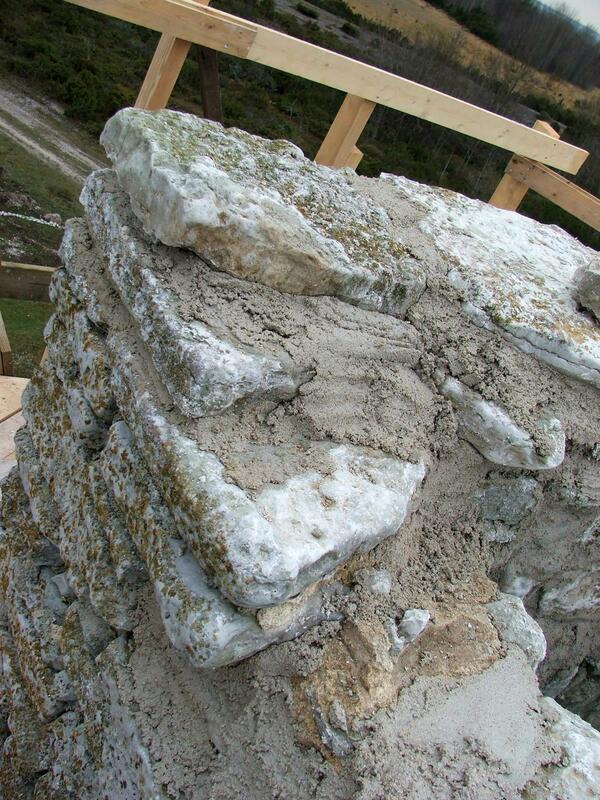 As mortar we use traditional lime plaster made of lime putty and with hydraulic additives. 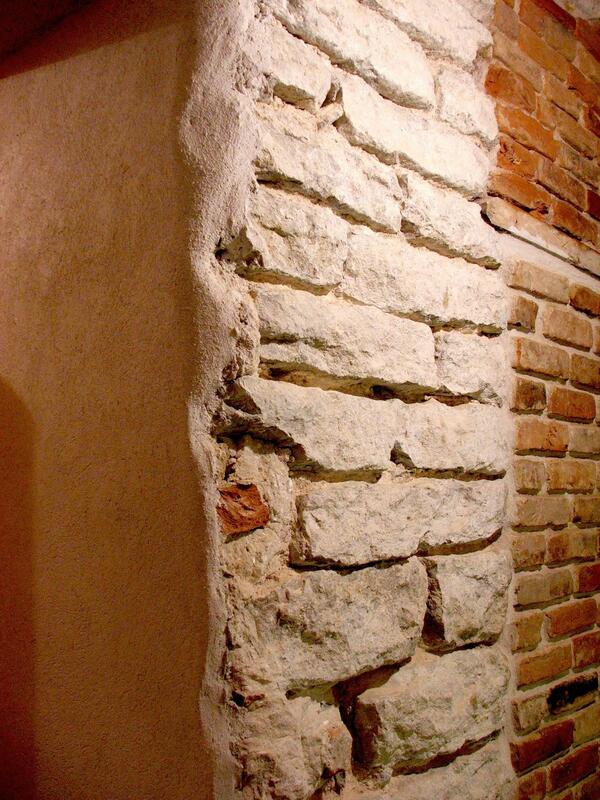 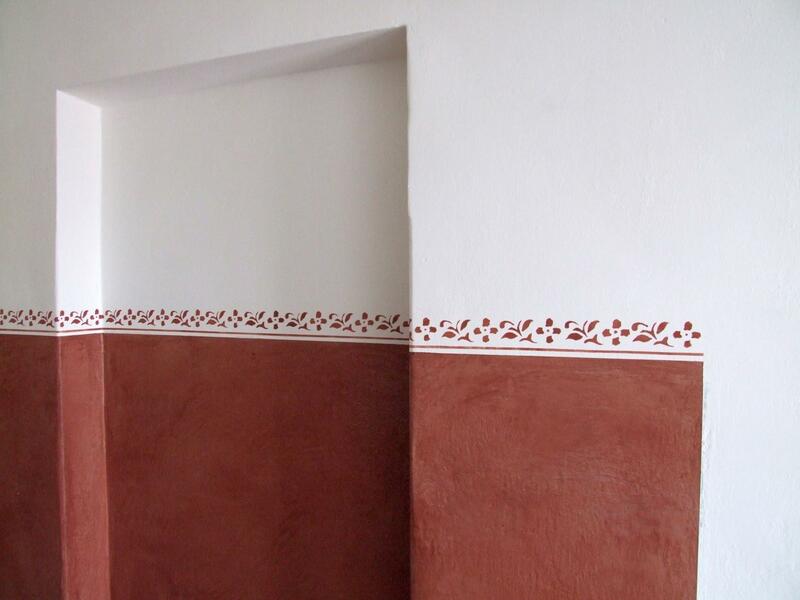 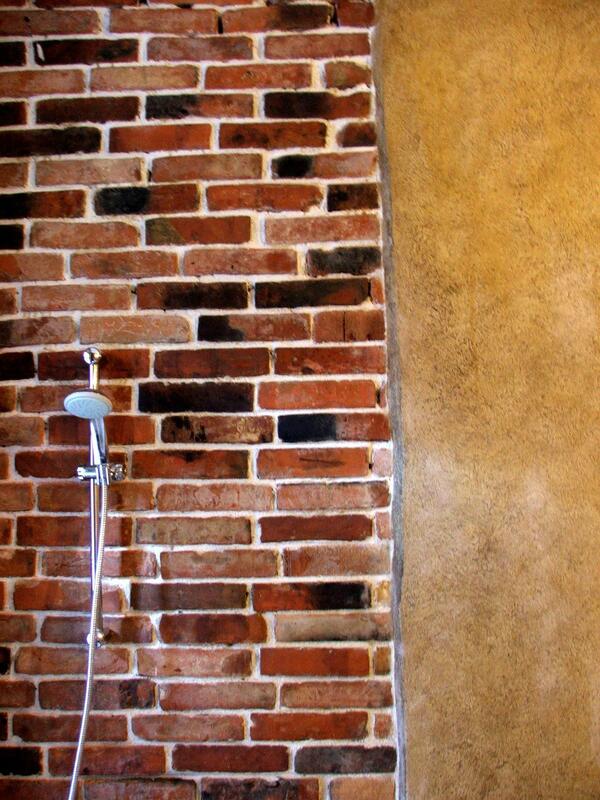 From our products line you can buy the lime mortar/lime plaster! 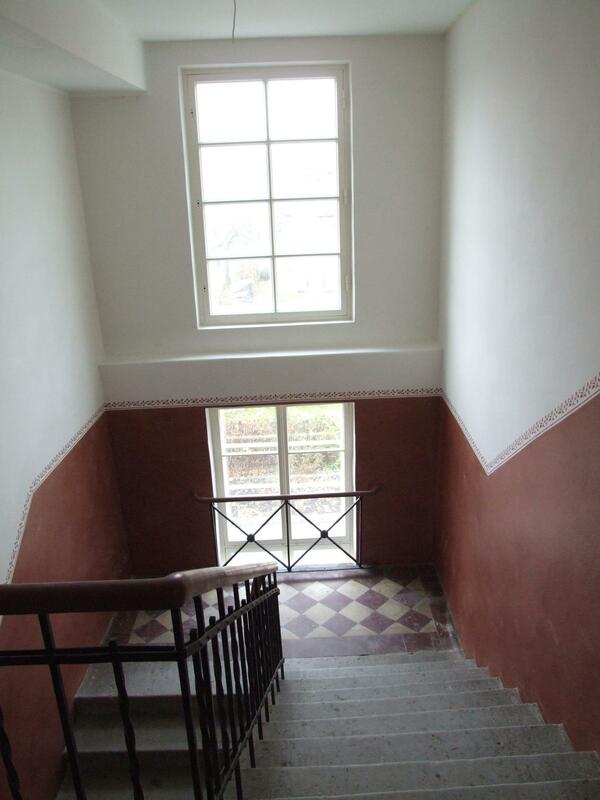 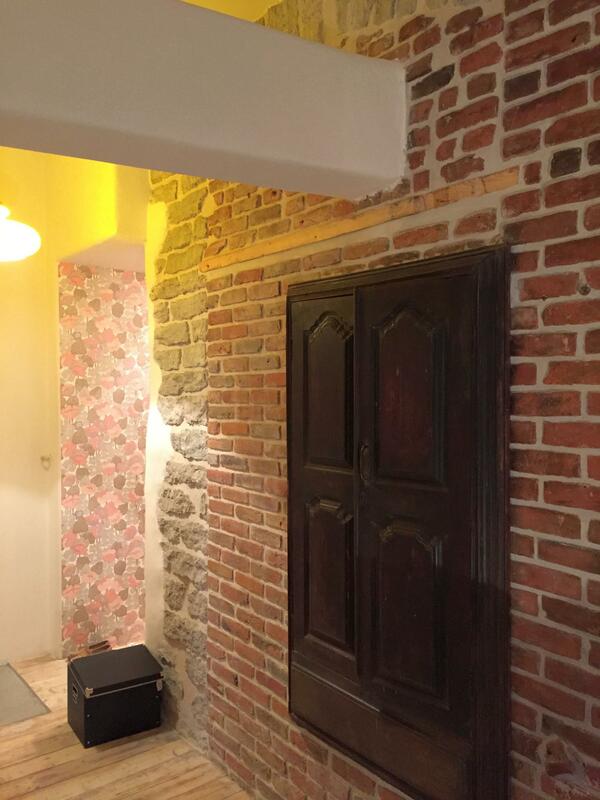 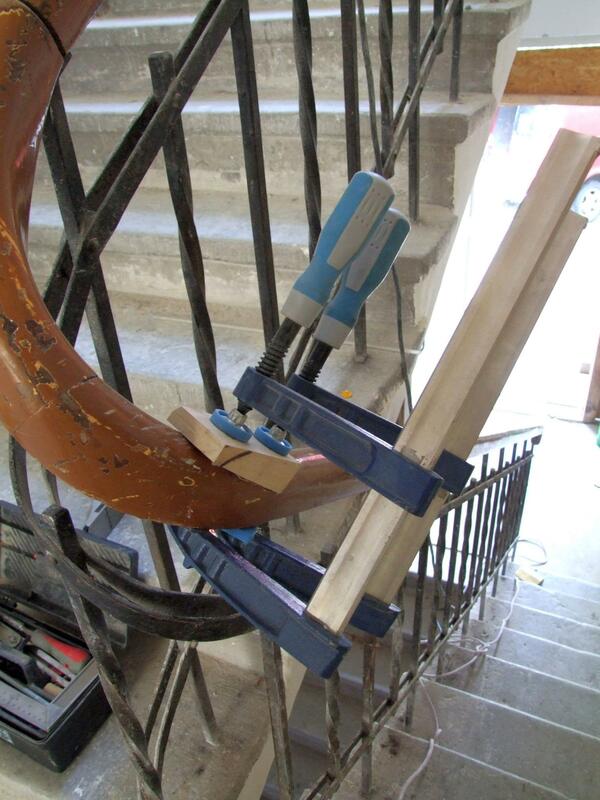 We renovate the staircases, both wooden and stone, of old houses. 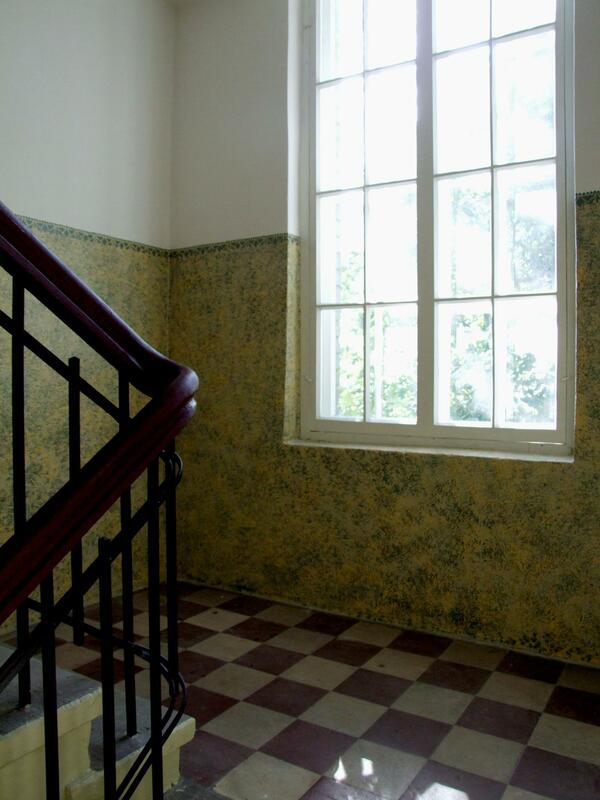 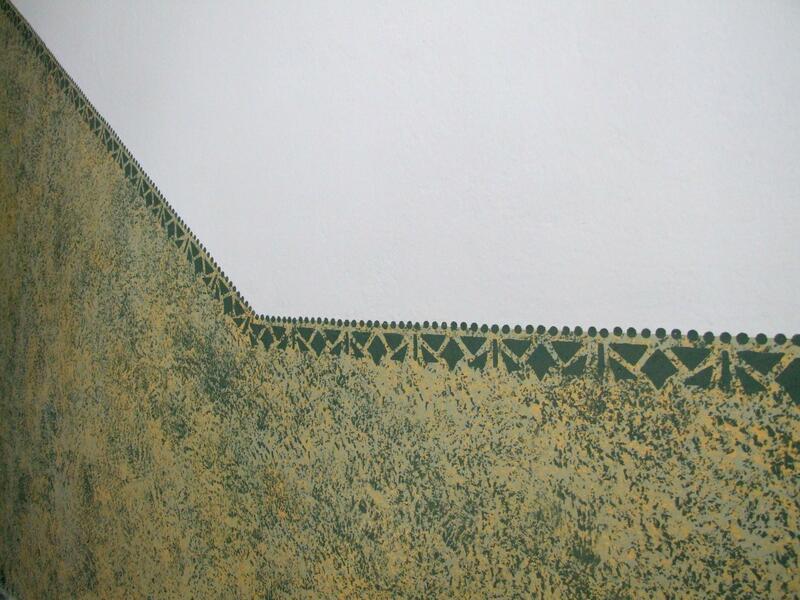 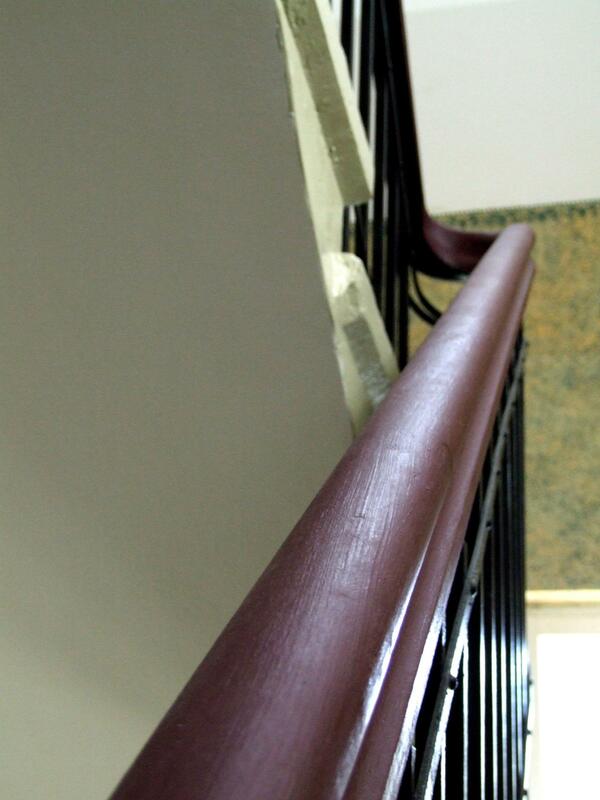 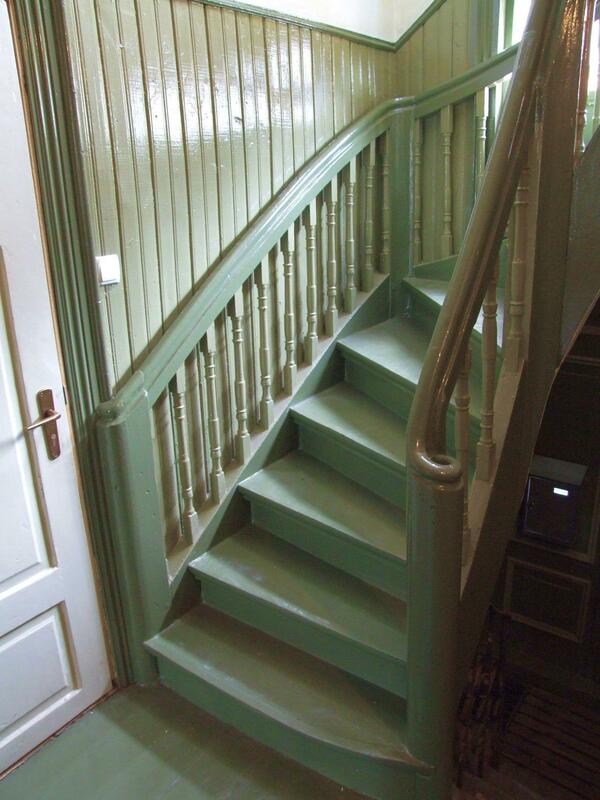 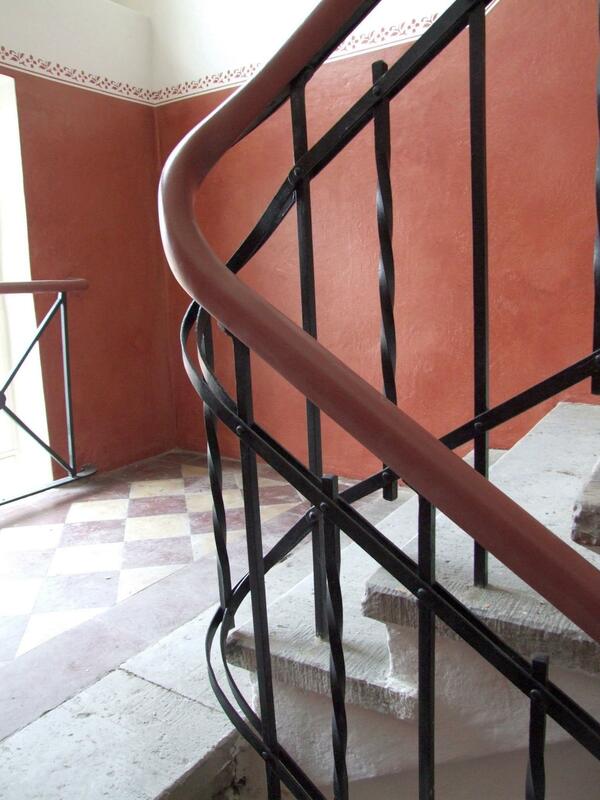 The original finishing of the old staircases was rich, it would be a shame to paint it with one single colour. 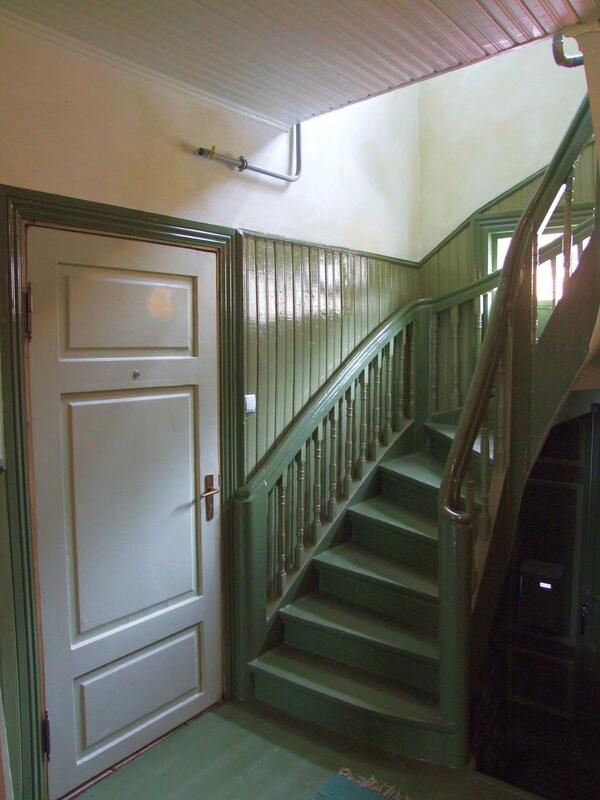 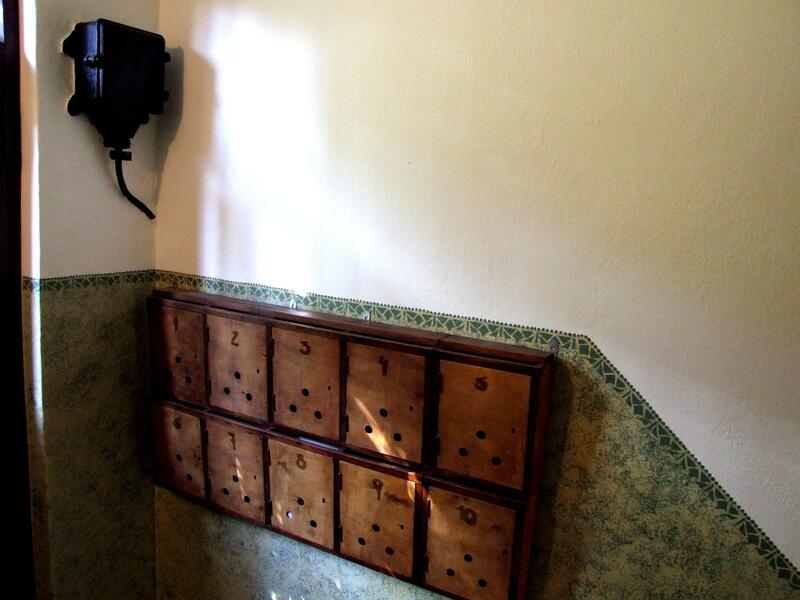 The floor tiles or floorboards, wooden and stone stairs, panel doors, stencil paintings, borders, decorative boards, handrails and old mailboxes - all those materials and details give an historical atmosphere to the interior. 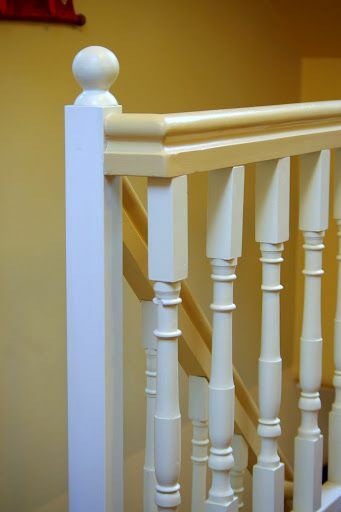 We use authentic and suitable materials - linseed oil paints, lime plasters, lime and chalk paints. 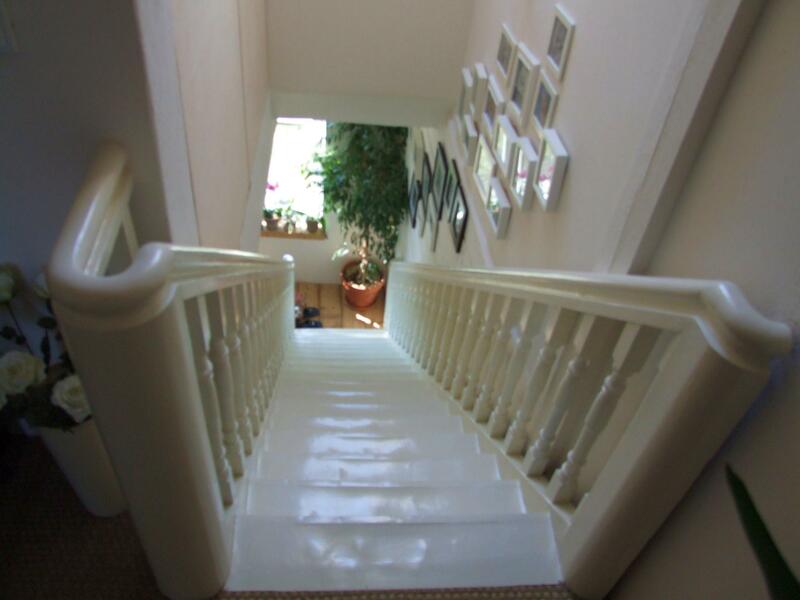 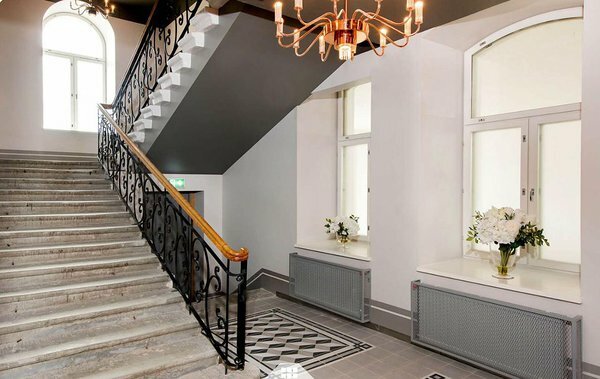 A staircase that is tastefully renovated gives bigger value to the apartments.